Pokemon Go is set to roll out in Japan any day now, and when it does, it will be the first to have sponsored in-game locations. 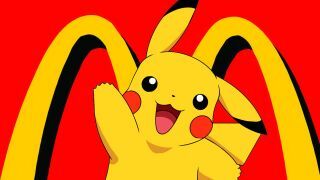 The Golden Arches of McDonald's won't waste any time taking root in the world of Pokemon Go, according to an official release from McDonald's Japan as translated by Kotaku. The release didn't specify how McDonald's will figure into the game world. TechCrunch previously cited unnamed sources who said more than 3,000 Japanese McDonald's restaurants would appear as Gyms, which makes sense given the extended battles the Valor, Mystic, and Instinct teams often wage over them. Might as well pick up a McDouble or three while you're fighting for your defender bonus, right? Chances are good that developer Niantic Labs had this deal with McDonald's Japan in the works months before launch. Now that Pokemon Go has emerged as a global phenomenon, I expect other companies will start popping up on the in-game map just as fast as Niantic will let them.